Seniors at Elmwood-Murdock Public Schools took a critical step in the college preparation process when they participated in a college application event on October 27, 2017 at the school. Elmwood-Murdock Public Schools was one of over 200 schools conducting events as part of the statewide Apply2College Campaign sponsored by EducationQuest Foundation. During the event at Elmwood-Murdock, seniors received hands-on assistance with college applications, transcript requests and personalized discussions from school staff. Completing a college application can be overwhelming for many students – especially those from families unfamiliar with the process. This event will help reduce college application barriers students face and should increase the number of seniors who go on to pursue higher education. At the junior/senior high, there are facts and trivia questions throughout the day to have the students start to think about what opportunities are available for them after high school. 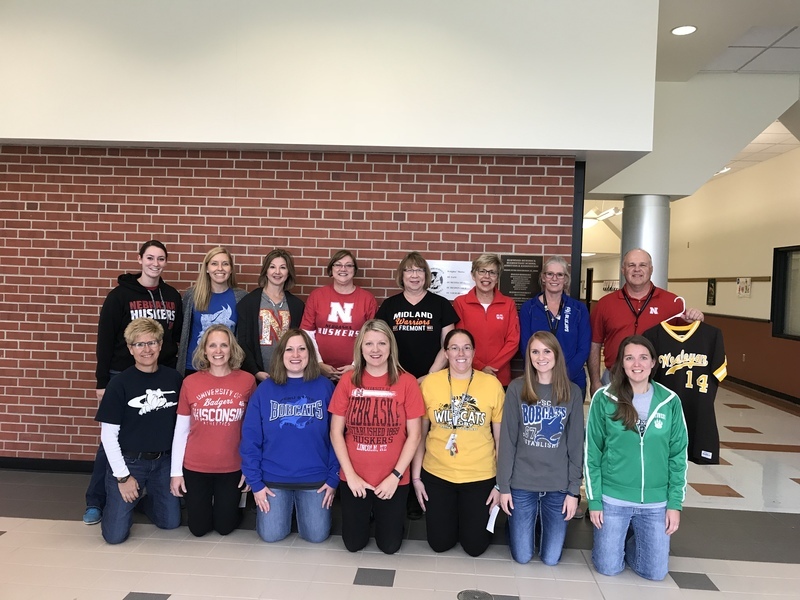 Elmwood-Murdock Public Schools would like to thank UNK, UNL, UNO, Doane, Wayne, Southeast Community College, Peru and Wesleyan for donating some great college garb for the trivia prize box. The Apply2College Campaign is part of the American College Application Campaign sponsored by the American Council on Education. All states are now participating in the annual program. Please contact Heidi Zierott at hzierott@emknights.org with additional questions and/or concerns.